Wedding PR: Huffington Post, WeddingIQ, Love Inc and more! This week we are jammed pack with client features, including Huffington Post, WeddingIQ, Love Inc and so much more! Be sure to see it all below. 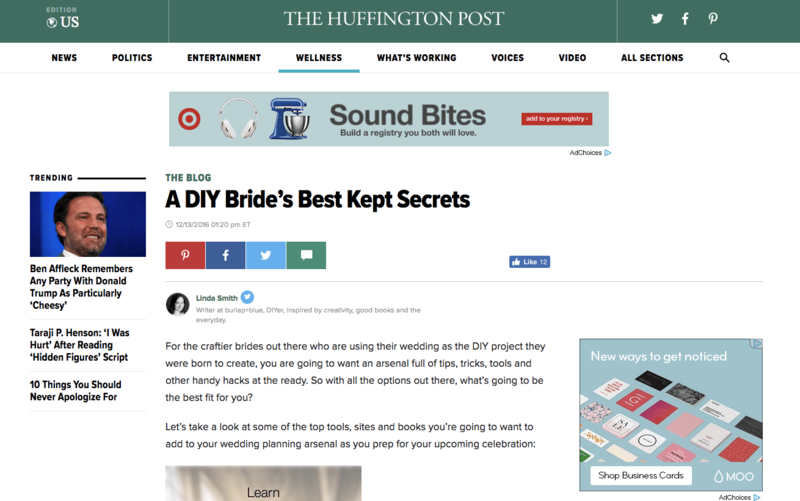 Passport to Joy, 100 Candles, and LadyMarry were featured in the Huffington Post article A DIY Bride’s Best Kept Secrets. See the full article here. LadyMarry was featured on Best Apps Geek in the article Wedding Planner LadyMarry – Wedding Checklist App. See the full feature here. OFD Consulting was featured on WeddingIQ with the guest article Your PR To-Dos for 2017. See the full article here. Kaysha Weiner Photographer was featured on Love Inc.’s Best of 2016 article. See the full feature here. Passport to Joy was featured on AllSeated with the guest article How to Create a Wedding Budget – And Stick to It!. See the full feature here. Belladeux Event Design was featured on Honeybook with the guest article Getting Organized in the Off-Season. See the full article here. OFD Consulting was featured on Catersource with the guest article Wedding Business Trends in 2017. See the full article here. Fantasy Sound Event Services was featured on Honeybook with the guest article Essential Apps for Event Companies. See the full article here.